Some of the 36 entrants in the OSTAR single-handed transatlantic race have the luxury of sailing a boat like the Figaro II or Class 40; yachts conceived, designed and built as the ideal single-handed vessel. 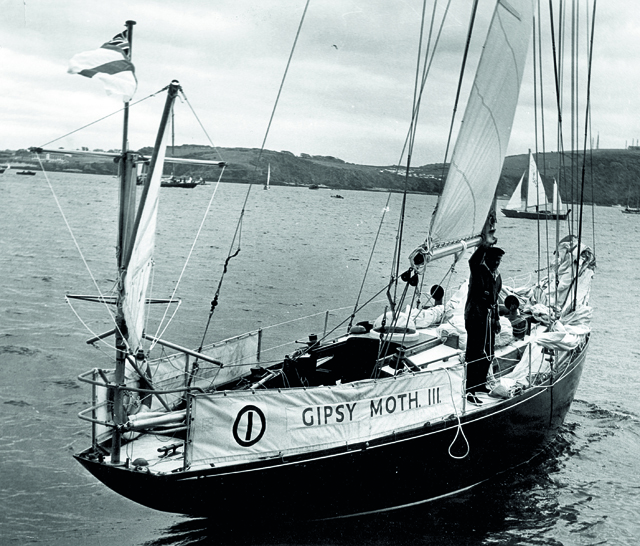 But take a closer look at the entry list and you’ll find a band of skippers sailing more modest production boats, most designed to be sailed by a full crew. This was 29-year-old Will Sayer and his immaculate Sigma 33C Elmarleen; a cruising version of the popular 1980s cruiser racer, featuring a shallower keel and masthead rig. Will bought Elmarleen in 2001 while he was studying for a degree at Bournemouth University. The boat had been left afloat on the Hamble for years and was in a sorry state. ‘Before I knew what I’d done I had a boat on my hands,’ he says. ‘I maxed out my student loan and handed over £7,000 – a lot of money for a 21-year-old. Undaunted, Will craned Elmarleen ashore and removed five years worth of weed and barnacles with a garden hoe which, to his horror, also scraped off a large amount of sodden gel coat. Then he hauled her by road to a field in Wells-next-the-Sea in his native Norfolk, where she would stay for the next four years. He began by ripping out the interior. The diesel tank had ruptured and an oil slick had spread throughout the boat, soaking into anything porous – including the bulkheads and woodwork. 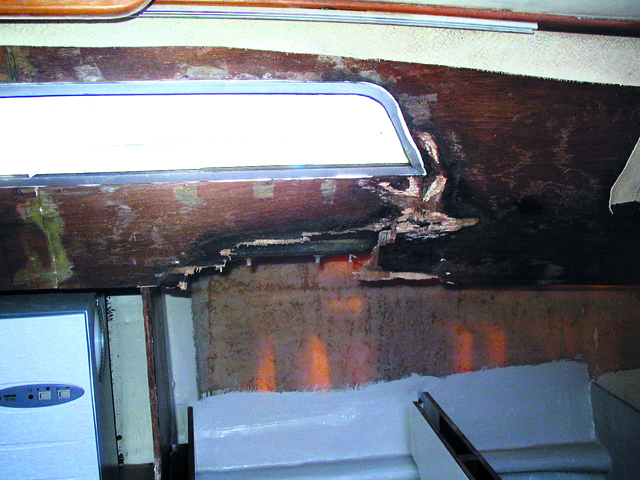 Leaking windows had caused much of the remaining joinery to rot, the mast had compressed the deck, the hull was riddled with osmosis and, to top it all, the previous owner had hit a pontoon hard, damaging the bow. Four years later, the boat was transformed and finally ready to launch. Wil sailed her back round to the South Coast. Bashing upwind for 3,000 miles will really take its toll on boat, rig and skipper. What’s more, a Sigma 33 is normally raced by a crew of six or seven. So how exactly has Will gone about customising Elmarleen for single-handed sailing? Elmarleen’s Dacron 125% genoa will stay on a Furlex roller-furler, but Will has also added a removable inner forestay to the boat. ‘As the wind gets up I’ll reef the main first, holding onto full genoa before changing down to a hank- on heavy weather jib,’ he explains. A new storm jib will also use the inner forestay, and three sets of genoa sheets and pin-stop cars are permanently rigged to make sail changes easier. Sigma 33s usually only have two reefing lines led through the boom, so Will has added a third. His new Hyde mainsail is triple-stitched, heavy-duty Dacron with leather and webbing chafe patches, captive battens and beefed-up reefing cringles. Will has also added a separate trysail track to the mast. 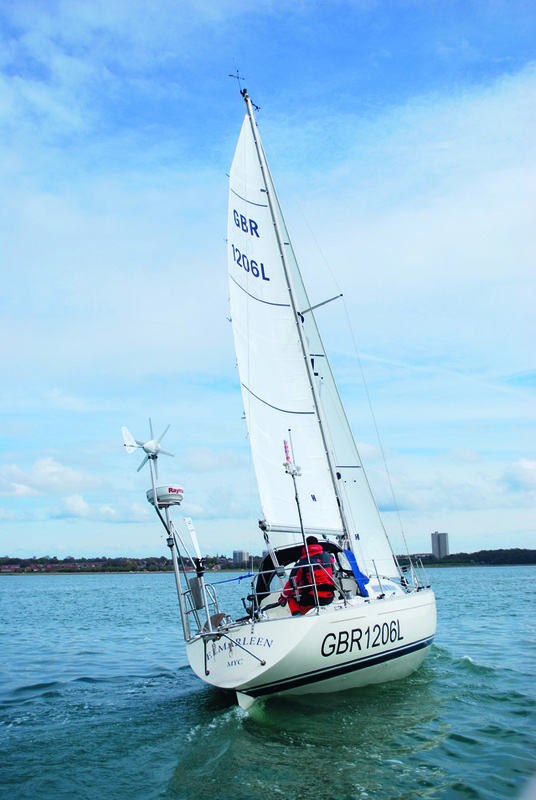 ‘It’s unusual on such a small boat, but will make changing from the main to the trysail much easier,’ he says. Will has glassed in extra stringers to help reinforce the Sigma’s bow section, which was prone to flexing in a seaway. It should also provide extra strength in the event of a collision. Will replaced all the seacocks, glassing in extra reinforcement around each one. He’s also sealed the cockpit lazarette, which was previously prone to leaking when the cockpit filled with water. Elmarleen’s Navik windvane will do most of the helming across the Atlantic, but Will is taking no chances. As well as a complete set of spares, he’s got a Raymarine linear drive autopilot attached to the rudder stock below decks, which he will use for sailing in light airs and off the wind, when the apparent wind is too low for the Navik to steer a good course. As a final back- up, he’s got a Raymarine tiller pilot. He’s also replaced his wooden tiller with a stronger, aluminium one, with cleats for fine-tuning the windvane. The companionway sports a set of new washboards. The lower board will stay in permanently and the upper board has a large round Perspex window so Will can see the windvane from inside the cabin. Down below, he has replaced his smart teak companionway steps with a plywood substitute, with a recessed middle step so he can sit down to put on his oilskins without making the bunks wet. The floorboards have been replaced with Formica-covered boards, with large holes for easy sponging and insertion of a bilge pump pipe. The Formica also reflects light, giving the interior an airier feel. The bunks on either side have grabrails installed, which will in turn support the leecloths, making it easier to move around and making each bunk more secure. A small table clips onto the rails and can be used on either side. Two large beanbags provide seating comfort. And cooking? ‘With no fridge I’m limited to tinned or dehydrated food. I’ll make a last-minute dash to a fruit and veg shop on the morning of the start, which should last me for a week or two, but I’m taking part-baked baguettes, rice, potatoes, pasta, corned beef, Fray Bentos pies, eggs in Vaseline… the list goes on,’ says Will. ‘Most of these meals will only use one ring, so I’ve made a mug and bowl holder to fit over the other half of the cooker.’ Across the cabin, a roll-up, clear plastic screen will protect the chart table and instruments from a deluge. Will is aiming to keep his electricity consumption down to a minimum. He’s fitted stick-on AAA battery-powered internal lights and an LED masthead tricolour to reduce power consumption. He also plans to run the engine to charge the batteries if necessary and has fitted a larger, 90lt fuel tank and an alternator regulator. Shipping, especially in the Western Approaches and off the Grand Banks, is a major hazard to a single-hander. With this in mind, Will has fitted an AIS transponder and a SeaMe active radar reflector, both of which have alarms. He also has a radar which, although it draws too much power to leave on continuously, will be of use in case of fog and icebergs. 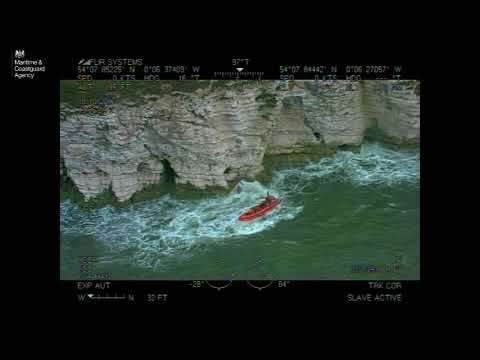 ‘It will also be good in case the SeaMe detects a ship that the AIS can’t find,’ he says. Weather routing will be done using MaxSea software on a aptop, with data received via an Iridium satellite phone – a requirement for the race. This will give Will access to grib files, emails and ice warnings. Elmarleen also has an HF communications receiver for weatherfax and a Navtex unit, and is kitted out with a Raymarine chart plotter and instruments. The pushpit is bristling with aerials! Will’s solo qualification passage last year, when he sailed the 600- mile Fastnet course, was the first occasion he’d spent any great length of time alone at sea. ‘I’ve always been quite happy in my own company, and I thoroughly enjoyed the trip. Four days was just long enough for me to get over the exhausting first 48 hours and start to recover and get into a rhythm,’ he says. Will is quitting his job as a mechanical engineer to do the OSTAR. ‘There is a point when the daydreaming, planning, effort and money spent thinking about doing something overtakes any doubt or reservations about doing it. I can’t possibly not go!’ he says. 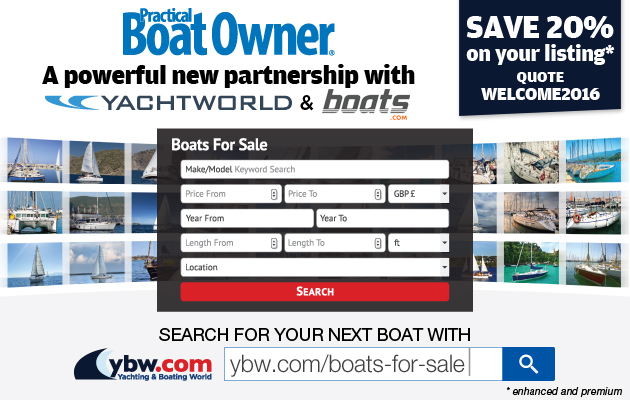 This article was published in the June 2009 issue of Practical Boat Owner magazine. Click here to search the archives for more past articles, which are available for purchase. Solo ocean racing isn’t all high-tech new boats, multimillion-pound sponsorship deals and media-savvy skippers. While the sailing world was avidly following the drama and hubbub of the Vendée Globe, 36 amateur skippers were quietly preparing for the start of a very different single-handed race. The 2009 OSTAR, or Original Single- handed Trans-Atlantic Race, started in Plymouth on 25 May with a line up of 36 boats of all shapes and sizes, from 30ft (9.14m) cruiser/ racers to 50ft (15.24m) multihulls, line up for 3,000 miles of upwind sailing to the finish in Newport, Rhode Island. It’s no simple milk run. Against the prevailing winds all the way, competitors are at the mercy of deep Atlantic depressions sweeping from west to east, fog off the Grand Banks, heavy shipping, ice and the sheer, grinding monotony of sailing upwind for three weeks. It’s a legendary race with an impressive history. The first race in 1960, reputedly came about as the result of a half-crown bet between solo legends Blondie Hasler and Francis Chichester, and was sponsored by the Observer newspaper (OSTAR originally stood for Observer Single-handed Trans-Atlantic Race). By the 1990s the race had been taken over by professionals with huge budgets, shore teams and press demands, and the Corinthian entries were in danger of being drowned out, so in 2000 it was decided to split the event in two, separating the professionals and the amateurs. It remains so to this day, and last year, 13 professionally-skippered Open 60s and 11 Class 40s competed in the Artemis Transat. The entry list for the 2009 OSTAR, the 13th, saw a range of ages and a mixture of amateurs and aspiring professionals. Among them were first-timers Katie Miller (21) in her Figaro II, Rob Cummings (19) sailing a Tripp 40, and Oscar Mead in his J109. At 18 Oscar was the youngest competitor to ever take part. At the other end of the scale, Peter Crowther (67) was sailing his Swan 38 in his eighth OSTAR, plus Bob Adams (69) in a high-tech Class 40 boat. Mervyn Wheatley (65) was starting his third race in his Formosa 42, Tamarind. One to watch was veteran French solo sailor Anne Casaneuve (45) who was taking a second crack at the race in her 50ft (15.24m) trimaran. She had 30 Atlantic crossings under her belt, but had been forced to retire the previous time when she damaged her knee in a knockdown. While some are in it to win, most just want to survive the worst the North Atlantic has to throw at them and make it across the pond safely to join the select ranks of those who have completed one of the world’s toughest yacht races.